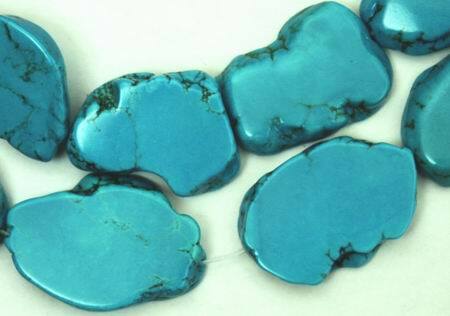 Price is for four of these blue Chinese turquoise slabs, drilled ready to thread. Slabs measure about 44mm x 35mm x 6mm average, but each will be slightly different as they are natural. Heavy!